Seminyak Villas are preferred over Canggu Villas or Ubud Villas or most Bali Villas in other areas by tourists looking to spend an eventful luxurious time on the Island. But let’s do a recap about what makes Bali Villas Seminyak special. Seminyak, now considered as the heart of Bali is located on the west coast of Bali, just north of the previous hot spot of Bali Kuta and Legian. Tourists who have visited recently may find it hard to believe that just a decade ago Seminyak was just a separate village. Something you might called more of a blackwater than a village. As the tourism increased in the last 15 years where more and more tourists started coming to Bali. It wasn't just the tourism that was boosting, Bali Real estate market also got into the play. That's where Bali Property Investors and developers saw this village's potential. Kuta and Legian were getting over crowded, congested and losing its beauty day by day. Seminyak was separated by a green belt from Legian and Kuta. The development of private villa Bali started here, soon it got attraction of the international investors and developers. Some of the best private villa Bali were constructed here. Tourists who didn't want to spend their vacations in a crowded atmosphere of Kuta but still wanted in on the action preferred to rent a seminyak private villa bali rather than in the other areas. It wasn't long that development removed that green belt separating Seminyak from Legian and now it is actually hard to distinguish where Seminyak ends and near by villages of Petitenget, Kerobokan and Umalas start. Seminyak is now considered as a suburb of Kuta. As the tourism increased, expats wanting to spend a peaceful and quiet life got attracted to Bali as well. Seminyak Villas development took an interesting turn. Now foreigners were interested to buy their own Seminyak villas. The purposes were different some wanted their Seminyak villas for retirement, some wanted it as a vacation home and some wanted to use it as a rental. Seminyak villas development mostly covered it all. Just to give you an example if you search beachfront villa bali on google, Seminyak villas will be shown on the top of the search list by almost every tourism site. While there are endless options of 5 star hotel chains in Bali, people coming on a vacation prefer staying in a private villa Bali. Bali Family Villas are available to rent and buy in almost all budget range. Over the years it wasn't just the Seminyak villas that made Seminyak interesting, investors took interest in bringing international beach clubs, bars, restaurants, brands, coffee shops, restaurants, shopping malls and every thing a central area should have been now developed here. Seminyak hots the 4 top beach clubs in Bali. Woo Bar, Potato head, Mozaic and Ku De Ta. These four beach clubs have a crazy good reputation among the party lovers all around the world. Ku De Ta is the mother of all Bali beach clubs. It is one of the main reasons that Seminyak Villas development came in to the play. It opened back in 2000 when Seminyak was known as a fishing village. Even after 18 years Ku De Ta still owns the main hot spot badge of the beaches in Bali for crazy party life. Mozaic was originally a restaurant in Bali and famous among the people who preferred a quiet area for living or for spending their vacations. Mozaic was the spot for those who love villa ubud Bali. However they realized the potential of Seminyak Villas and the surrounding and decided to open their branch in 2012. Keeping up with their tradition they opened in a quieter northern part of Seminyak known as BatuBelig. If you are food lover than Mozaic is the place for you as you will find the exclusive exotic foods on the menu as oysters, lobsters, caviar, wagyu beef and many more. Potato Head in Seminyak holds down the best location. The unique elliptical façade of thousand multi colored shutters is one of the most beautiful sight on the beach. Potato Head hosts one of the most amazing ocean view in Seminyak. The large infinity pool with chair decks on the edge of the pool is a heaven for tourists who like take a dip in the swimming pool while watching the waves touch the beach. At night the music takes over and it's a crazy party till dawn. Woo Bar is a part of THE W-Retreat, an international chain of hotels. This beach bar is pretty much everything a beach and a party lover wants. Surrounded by the palm trees with a lounge area for endless cocktail sipping, a roof top deck over looking the amazing ocean. Sunset sessions every day from 4pm-10pm hosting world famous djs. Why won't the party lovers love themselves one of a Seminyak Villas. Coming back to the topic of Seminyak private villa Bali, above mentioned are some of the factors why tourists still prefer Seminyak over all other areas of Bali. Its not just the Seminyak villas development that attracts an expat or a tourist to live here its because of the central location that Seminyak has to the other areas of the Island. Central location gives tourists an easy access to other areas of Bali. For example, Denpasar is hardly 7 km away, Canggu is hardly a 15 minute drive, Sanur is at a similar distance, Ubud is a little above an hour drive with ideal traffic. Unlike Canggu Bali Villas or Villa Ubud Bali, Seminyak villas are constructed and developed more towards modern side. 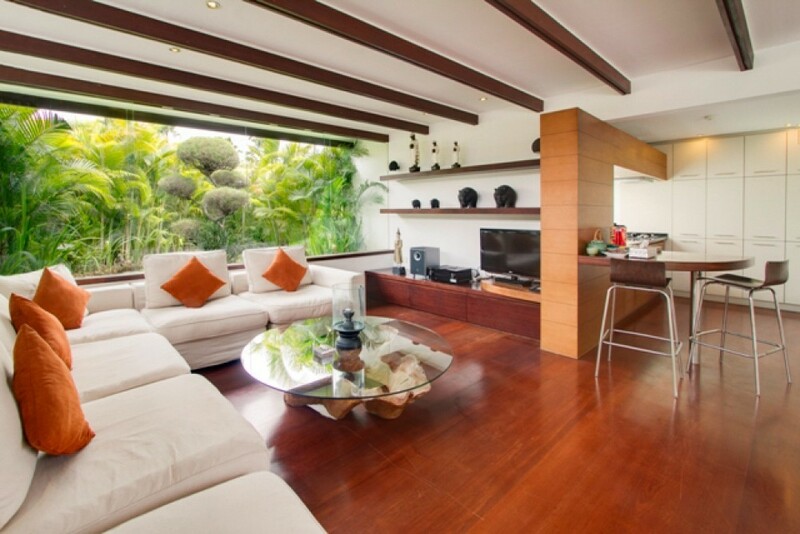 You may find some of the best villas in Bali in Seminyak based on architecture and design. It won't be a stretch to say that Seminyak Villas have played an important role in attracting tourists towards Bali because of the luxury, comfort and design they offer. Seminyak Villas price for both rent and purchase is at the higher end as compared to the other areas of the Island. The rent per night starts as low as $80 and goes up to $2500 per night. Purchase prices are higher as well and can go up to 3.5 or 4 million USD. Since Kuta has suffered a lot due to easy access and recognition among the tourists Seminyak won't be sharing the same fate. Seminyak is beautiful and more luxurious than any other place in Bali. Seminyak Villas, Hotels, Restaurants are not different either. They offer complete luxury and modern concept you are looking for. Logic would say that if I am looking to spend a holiday in Bali Seminyak villas rental would be ideal if we are a couple or friends but why should I be renting it out in case of a family vacations with kids. That's where things get interesting, Seminyak area offers activities for all ages. Escape Room Bali is a great adventure place not only for Kids but adults as well. It offers different theme games prison break to more kid friendly themes. Waterbom Bali is located just 20 minutes away from Seminyak central square in Kuta. Perfect place to spend a family day in one of the best water parks in the world. Bali Sea turtle society is another great place located just 20-25 minutes away from Seminyak in Kuta. A perfect day to spend and learn about turtles. BSTS is famous for taking responsibility of turtle hatchers in Bali and re-releasing turtle hatchlings into the ocean from Kuta Beach around 4:30 pm every day from April to October. Upside Down world is another great place to take your kids and see this amazing creative amusement place. Every thing is arrange in an upside-down manner where you will feel that you are walking on the roof of the room while you're actually on the floor. Bali tourism is flourishing day by day, despite being hit by Tsunamis, earth quake and mount Agung eruption. Tourists do take their break and precautions during such events but they never stop coming. In fact the stats state that the tourism rather boosts further after such tragedies. Tourism ministry of Indonesia has played a vital role in boosting the tourism in Indonesia on international channels. They have cleared the most common misconceptions that foreigners had by running awareness campaigns. Their social media teams work hard and take great initiative to ensure that campaigns being run do not meet a negative impact. They welcome all the queries from foreign tourists. Bali tourism is the main highlight for any tourist visiting Indonesia and even for expats it is most preferred place to stay as compared to Jakarta or Java. Tourism Ministry's efforts and campaign during mount Agung eruption is remarkable, as the image given to the world by some foreign country media was that whole Bali is affected. Whereas in reality the main tourists hubs were about 80 kms away from the last impact point. Bali hosted the victims of earthquakes and volcano eruption and ran international campaigns for support. Expats living in Bali also played a vital role in helping out the victims by volunteering and contributing. 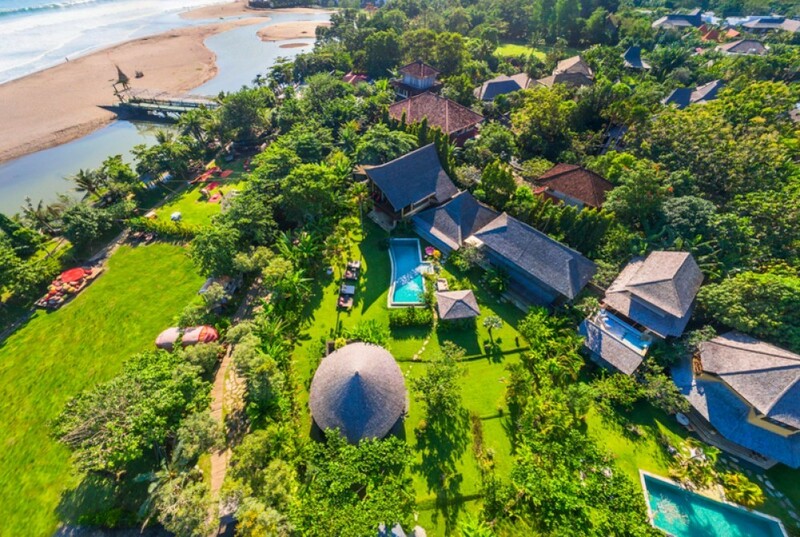 With all of that if you search the term Buy Villa Bali on google, you'll be surprised to see that this simple term has over 10,000 search results every month. Seminyak Villas have a vital role in this. It is actually the area that started all the development and attracted the investors. It was the first area of Bali to have the most modernized beach club, first area to attract the branded shopping malls, restaurants and then came the villas. Seminyak private villa Bali concept came into the play and started the revenue generation. An average good villa can easily earn you up to 200$ per night on an average throughout the year. If you are looking to invest right now with a sound revenue generation. Bali property investment is a big ground to play. You can buy a villa or a property in Seminyak area and turn it into a private rental holiday home. You can hire a local company or a team which can manage the hotel. Well qualified and trained staff are available at very reasonable salaries. There are many real estate companies in Bali that rent out the properties on behalf of their owners. The good part is you get multiple options of renting out a property once you have bought it. You can turn it into a bed & bath sort of villa and rent out on daily basis. Then you can do the short-term rentals which most expats prefer. These rental agreements go up onto monthly, quarterly and yearly basis. You can also rent out the property partially or a room if need so. As we mentioned in the earlier part of our article, Seminyak area is comparatively expensive as compared to the other areas in Bali. The average price is a bit higher here. 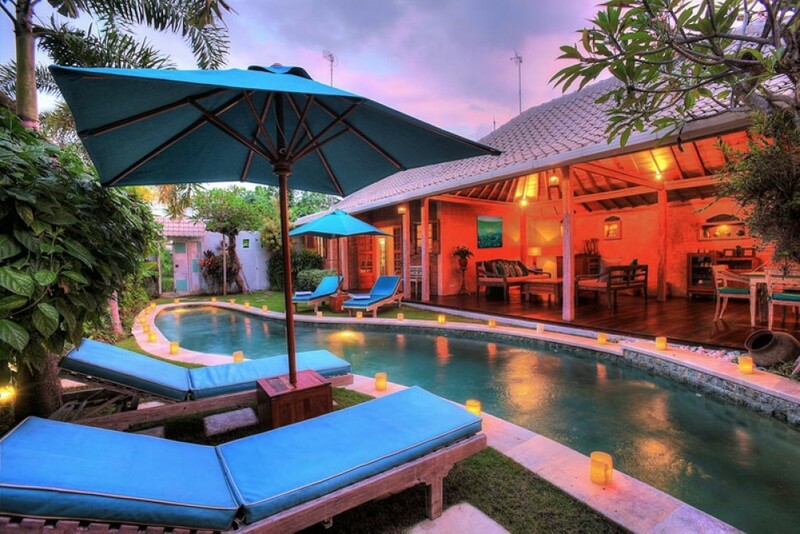 We will give the idea here on what kind of villas you can find in Seminyak area depending on the price range. This villa is definitely the best deal you can find in the Seminyak area. Such deals are very rare to find and do not last long on the market. It is not only perfect to buy as a residential home but it is indeed a perfect investment that can generate good revenue returns for you. This tropical modern traditional blend real estate features 3 en-suite bedrooms with classy bathrooms. Stylish wooden work throughout, spacious lounge, dining and kitchen. The beautiful tropical garden surrounding the swimming pool just gives you everything that you would want from a vacation home. It is also perfect for those tourists who want to rent out the perfect combination with luxurious living standards right in the middle of all action. It gives you easy and minutes away access to the market, shopping malls, bars, restaurants, beach clubs and a mere 20 minute drive from the airport. The best part is a 5-minute distance to the beach. Again, these deals are very rare but if you get your hands on it you are in for a great revenue generation. This beautiful real estate is slightly more commonly available and it fits for two criteria's. One is if you want to solely use it for holiday rental. It has the perfect design, luxury, furnishing, interior and the exterior. Just looking at the pictures of will make you want to rent it for your next holiday in Bali. Or if you want to live in Bali permanently and do not want to worry about a steady income. You can use it for multi-purposes. Such properties are built in keeping privacy of the guests in mind so you can simply live in one part or the room of the villa while you rent the remaining to the guests and earn a steady income. This specific villa has a history of over 70% occupancy throughout the year. It has the easier access to every place. Located right in the middle of all actions. 5 minutes to the beach, famous clubs as potato head, ku de ta and other famous attractions of Seminyak Area. Beachfront real estate is the most luxurious kind of property available for sale or rent in Bali. Specially in Seminyak they are the prime that attracts the most tourists. They are indeed the most expensive to buy or rent. These villas represent the elite of luxury and are preferred by those who like to spend their days in chic premium style. Just a dip away from the beach these beachfront villas are a treat for every one who live there.